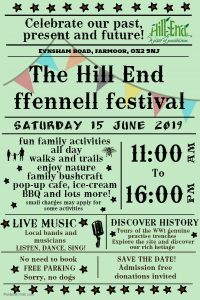 Ffennell Festival 2019 – coming soon! The Friends of Hill End will be hosting a family and community day of fun this summer at Hill End! There are lots of activities planned, including bushcraft and music – watch this space! Pop-up cafe, BBQ and pizza from the wood-fired outdoor oven.